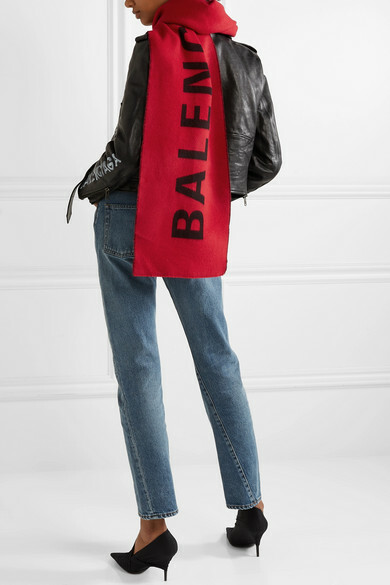 Balenciaga's scarf is intarsia-knit with the brand's moniker in supersized lettering that balances the generous shape. 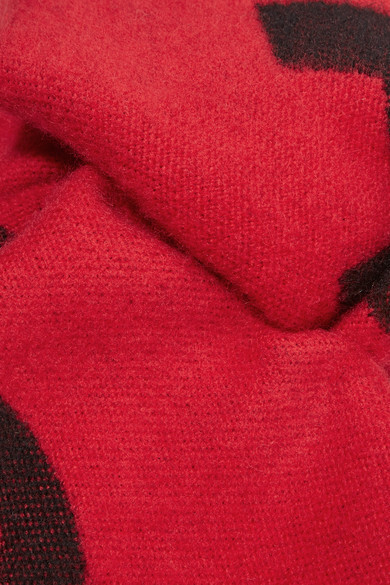 It's made from soft wool and finished with raw edges. Wear it looped around your neck or draped over the shoulders like a shawl. Shown here with: Balenciaga Jacket, Balenciaga Jeans, Balenciaga Pumps.